Pitlochry is the ideal location to spend a few days. 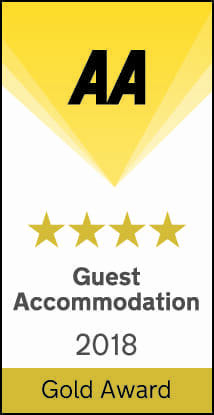 It is located very close to the centre of Scotland, with most cities and famous landmarks less than two hours drive away. Why move anywhere else when you can see the highlights of Scotland from Craigmhor Lodge and Courtyard? Inverness is the capital of the Highlands, and is approximately a 2 hour train journey north, through wonderful scenery, with plenty deer and wildlife abound! Once in the city, you will have 3 or 4 hours to explore Inverness Castle, walk along the pretty river Ness, take in a city tour bus or even a bit a retail therapy in the wonderful Eastgate Centre. The first train departs Pitlochry at 08.20 am and arrives in Edinburgh nice and early, to let you have the most of your day in the city with no hassles of parking! 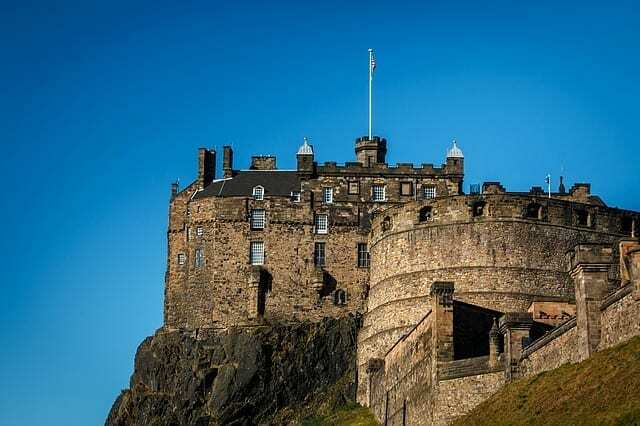 Whilst in Edinburgh, enjoy the buzz of the city, walk the Royal Mile, visit the fabulous Edinburgh Castle, or enjoy the fantastic shopping on George and Princess Street. The last train from Edinburgh direct to Pitlochry departs at approximately 19.30, so a full day can be had in the capital of Scotland. Braemar and Balmoral Castle are only about 1 and a half hours drive from Pitlochry, along the A93. The road takes in some breath taking scenery, with many Scottish wildlife on route. In the winter months, the ski resort of Glenshee is also within an easy drive,so a day on the slopes is very easy from Craigmhor Lodge. Stirlling is approximately 1 hours drive away. Stirling Castle sits above the city of Stirling, and is a very historic castle, with many Scottish battles taking place around the town. The Wallace Monument, commemorating William Wallace is also a fascinating memorial, steeped in history. 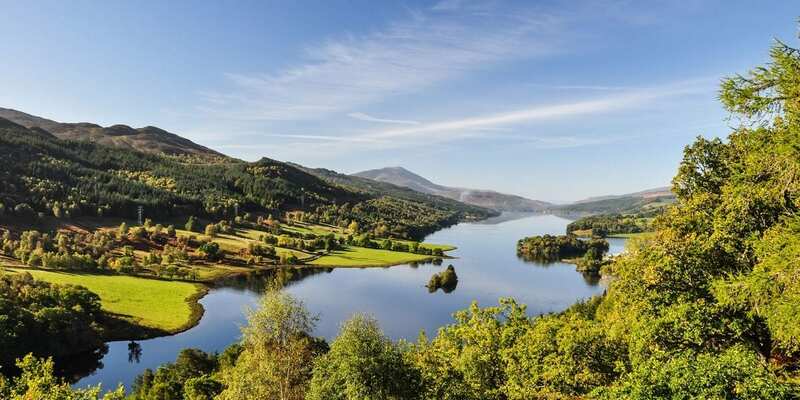 A fantastic day trip north – head north to Inverness and drive along the famous Loch Ness to the picturesque village of Fort Augustus. Look out for the Loch Ness monster – you may be lucky ! Within Fort Augustus, spend some time at the locks on the Caledonian Canal, watching the many boats move up the ladder of locks. Continue the drive south along the banks of Loch Lochy to Spean Bridge, near Fort William and take the road south to Dalwhinnie. This road is renowned for it’s beautiful scenery, passing Loch Laggan and rejoining the A9 south for Pitlochry at Dalwhinnie. A 15 minute drive from Pitlochry is the historic and picturesque “city” of Dunkeld. Within the village is Dunkeld Cathedral, with also many walks along the river. The National Trust Centre of Loch of the Lowes is a few miles north of Dunkeld, where you can see the resident Ospreys and their young in the spring. The centre is also home to lots of other wildlife including red squirrels and the Great spotted woodpecker. TFurther east of dunkeld is the small town of Creiff, and nearby, Glen Turret: the Oldest Distillery in Scotland. St Andrews is recognised worldwide as the home of Golf and is located just over an hour from Pitlochry. It is a beautiful medieval town on the East Coast. The small coastal towns are a short drive away, many with working fishing harbours. The Town of Anstruther is on this drive where you will find the excellent Scottish Fisheries Museum, not forgetting one of the best Fish and chips chips in Scotland! 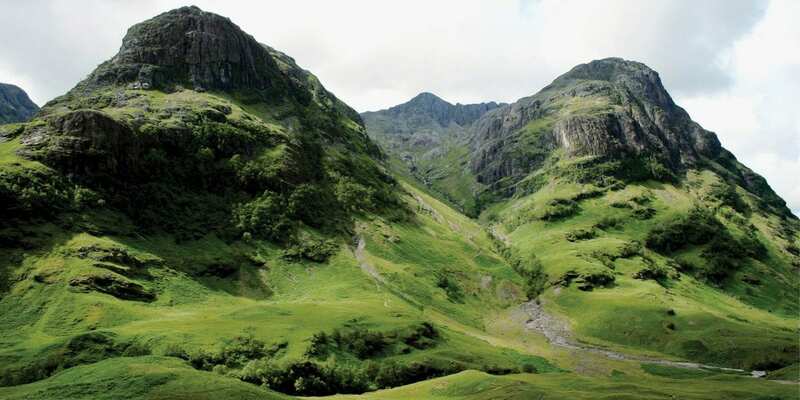 Glencoe is well known for it’s history and is one of the most dramatic places in Scotland. The drive from Pitlochry will take approximately 2 hours and crosses the flat expanse of Rannoch Moor, with the prestigious black mountains rising out of the moorland. Beyond Glencoe is the spectacular scenery of the West Coast, with some fine views of the hills around the beautiful lochs of Linnhe, Creran and Etive. Other highlights on this trip include the Sea Life Centre on Loch Creran and the fantastic scenery of the whole route!